A penthouse inside a new Miami Beach building is expected to hit the market today, and if the developer gets what they're asking, it would be a Florida record for an apartment building. The asking price for the 12,410-square-foot penthouse of Eighty Seven Park at 8701 Collins Avenue is a cool $68 million, the New York Post reports. 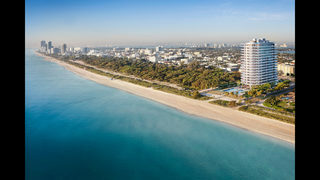 If the penthouse sells for that price, it would smash the record previously set in 2015 when $60 million was spent on a penthouse in another Miami Beach building. The six-bedroom, eight-bathroom apartment has unobstructed views of the Atlantic Ocean and downtown Miami, as well as ten-foot ceilings, floor-to-ceiling windows and top-of-the-line appliances. Incredibly, the penthouse also houses not one, but two 45-long infinity pools. One pool is to face east for the sunrise and the other faces west for the sunset. The penthouse at Eighty Seven Park also includes a private gym. It's all about over-the-top luxury amenities to woo rich buyers. At the Paramount Miami Worldcenter, developers are touting the world's first flying-car dock, or sky port, on the penthouse level of its 60-story tower. Paramount Ventures CEO Dan Kodsi said drones built by Uber and Airbus will soon whisk condo owners across the skies of Miami and drop them off back on the shared penthouse space of the building. "This is really, it's all reality. They're working in conjunction with NASA to create it. They're going to launch it in Dubai, probably in the next two to three years," Kodsi said. A representative from Uber said the technology is a work in progress. 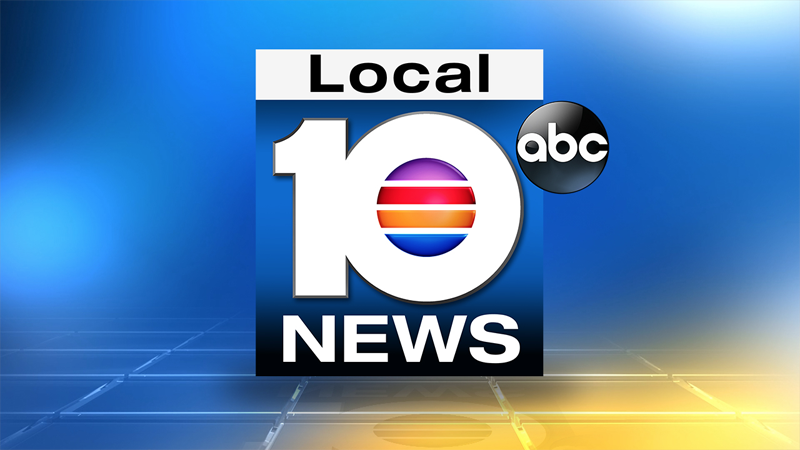 Airbus did not respond yet to an inquiry from Local 10. Kodsi said he envisions the drones in the next 10 years at the Paramount Miami Worldcenter. "This is the place for luxury," Kodsi said. "You know, the entire world has noticed Miami."